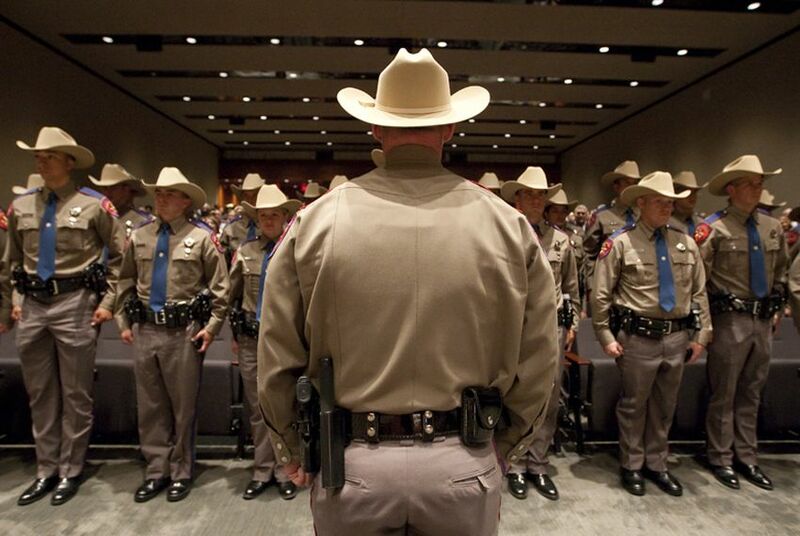 The Texas Department of Public Safety has reversed a controversial decision to lay off more than 100 older troopers employed under an agency program that allowed them to retire and then be rehired in order to collect retirement benefits and a salary. The department made a decision in December to cut the positions of 117 law enforcement officers to make up for state-mandated budget cuts for the current biennium, according to a DPS memo. The action sparked backlash from associations representing agency workers and several state lawmakers who claimed the decision unfairly targeted older officers. On Thursday, the agency released an email Director Steve McCraw sent to all DPS employees stating that it had rescinded the decision, allowing the troopers employed under the retire/rehire program to stay on in their current roles. The email said it would offer reinstated jobs to any officers who already left the department because of the impending layoffs. The retire/rehire program started in 2002 at a time when the department was struggling to recruit new troopers and keep older ones from retiring and taking better-paying jobs at local law enforcement agencies, according to the DPS memo from December. The department began offering the program to older troopers as incentive to stay at DPS. But eventually, the Texas Legislature began approving higher salaries for troopers and retention became less of a problem. In 2013, the department ended the routine practice of retiring and rehiring, the memo said, but there are still more than 100 troopers who are currently employed under it. After failing to enforce budget cuts in other ways, the department said in December that elimination of the positions was necessary amid a $50 million budget cut, less turnover than expected and a requirement to hire 250 new troopers under border security initiatives. The troopers were to be laid off May 31. Nevárez and Rep. Terry Canales, D-Edinburg, scoffed at the proposal and asked the department to overturn the decision, saying it was picking young recruits over veteran officers. The Department of Public Safety Officers Association released a memo saying the Legislature didn’t intend for budget cuts to mean eliminating troopers and pointed to a budget provision that would allow the department to shift money around to prevent any trooper layoffs. The Texas House Homeland Security and Public Safety Committee held a hearing earlier this month on the decision, and McCraw told the lawmakers the agency was working on a solution and that it would cost $19 million to keep the positions. But, he said, the money didn’t need to come from outside of the DPS. “Some of the challenge is having the flexibility to use our existing funds. It’s not necessarily additional funds,” McCraw said. DPS has not yet provided details on how the money was shifted to keep the officers, but a spokesman for the Legislative Budget Board said the action was taken within the department’s budget authority and did not need approval from the board. The solution involved the offices of the Gov. Greg Abbott, Lt. Gov. Dan Patrick, House Speaker Joe Straus and the legislative budget leaders, state Sen. Jane Nelson, R-Flower Mound, and state Rep. John Zerwas, R-Richmond, according to the Department of Public Safety Officers Association. The association’s president, Jimmy Jackson, said he appreciated the leadership's decision and didn’t believe anyone ever wanted to lay off the older troopers.